April 2018 Travels - Let's Go! The summer travel season is nearly here. I’m already hearing my clients and friends talking about heading to NY or Maine or of course California for the summer so it is definitely on everyone’s radar. Isabel and I have already started our travel season as we just returned from one of our favorite spots, Highpoint, NC where we spent four days traversing the April Furniture Market. 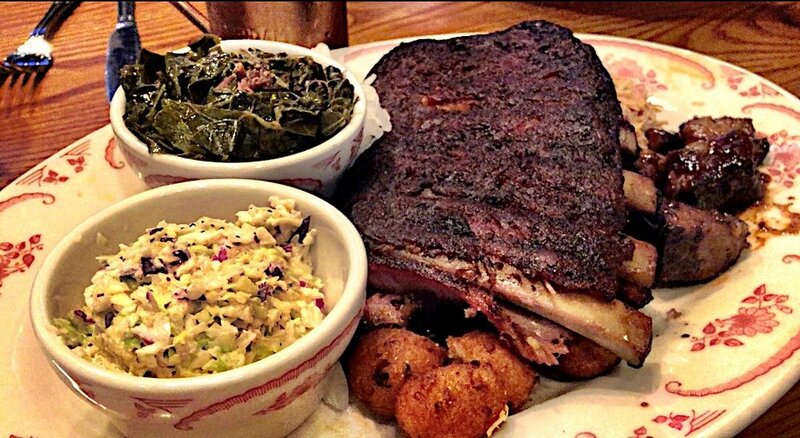 Of course as soon as we land in Charlotte we head to one of our favorites, the Midwood Smokehouse. This place is always on our itinerary and it never disappoints and is always a great welcome to the Carolinas. From Charlotte it’s about a 90 minute drive to the Greensboro/Highpoint area where we checked into the Grandover Resort which would serve as our home base while in shopping heaven. On this shopping extravaganza Isabel brought one of her junior designers, Nikka Bochniak, to experience her first Market. Of course there is no way to describe this experience. Highpoint, NC is the capital of the US furniture market. For two weeks a year, April and October, this small, sleepy, town awakens with merchandisers and designers from not only across the country, but across the world. Everything from antiques to contemporary furniture and accessory products are displayed and marketed to the roving designers and merchandisers looking for the products for their clients’ homes and their showrooms and retail outlets. Nikka and Isabel hitting the Market! As an architect, I find it fascinating to see the trends in styles, colors, and textures change from year to year and I find it a great foreteller of how styles and tastes are changing and where they are going. Of course, it’s not hard to run into friends and associates along the way. 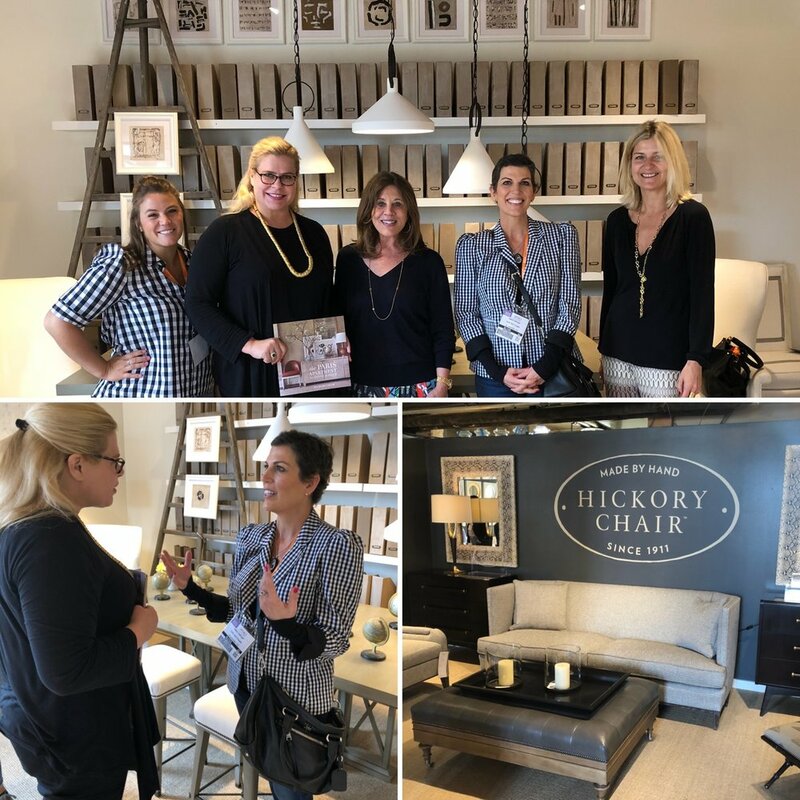 This trip we once again bumped into Interior Designers extraordinaires Suzanne Kasler and Alexa Hampton at Hickory Chair https://www.alexahampton.com http://suzannekasler.comhttp://www.hickorychair.com. Two giants in the industry, they always make time to say hello. 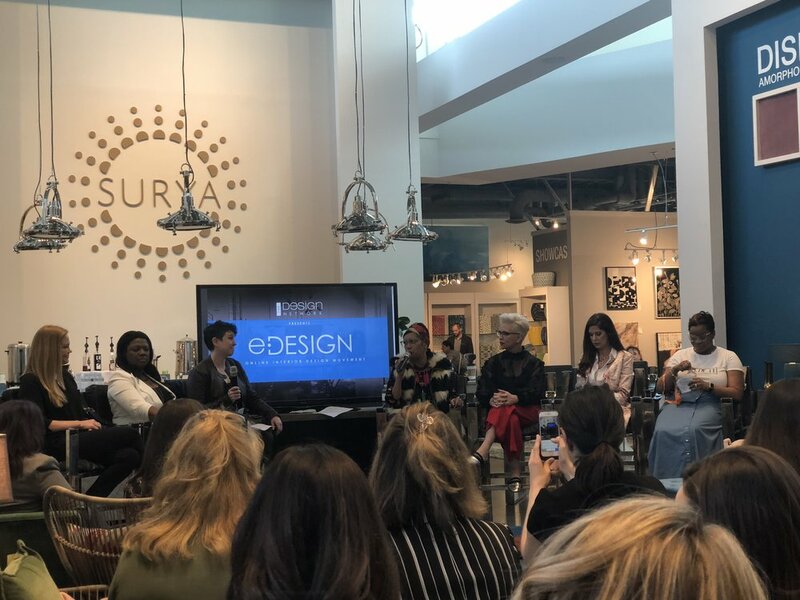 Our friends from The Design Network, who host our show, SKETCH, https://www.thedesignnetwork.com/series/sketch/are based right there in Highpoint, and the founder of The Design Network and executive Vice President of Furnitureland South, http://www.furniturelandsouth.comJason Harris, always goes out of his way not only to make arrangements by reserving our rooms at the Grandover, but makes time for dinner with us – this time with fellow Design Network star, Mia Malcolm https://www.thedesignnetwork.com/series/upcycled/and Design Network producer and creative editor, Sarah Weidman, from Los Angeles. All in all, a great trip and so fun to go with Isabel and see her in her element. She was hard to keep up with! What’s interesting is how with social media, pinterest, houzz, etc. it is becoming very difficult to actually spot or react to a trend because as opposed to say ten years ago a trend would emerge and stick around long enough that a manufacturer could react to the trend with new products – now I am not sure how a manufacture reacts to a trend that in just a few hours can change. Nonetheless, the Restoration Hardware grey is still prevalent but definitely a lot of chatter about how everyone is getting burnt out on it. Color seems to be making a comeback for sure – and brilliant colors for sure. We returned on Thursday and tomorrow we are off to NYC and Greenwich, CT to meet with a client and master cabinet/millwork maker Christopher Peacock http://peacockhome.com/home, and then we have some fun surprises to announce while in the City so stay tuned! 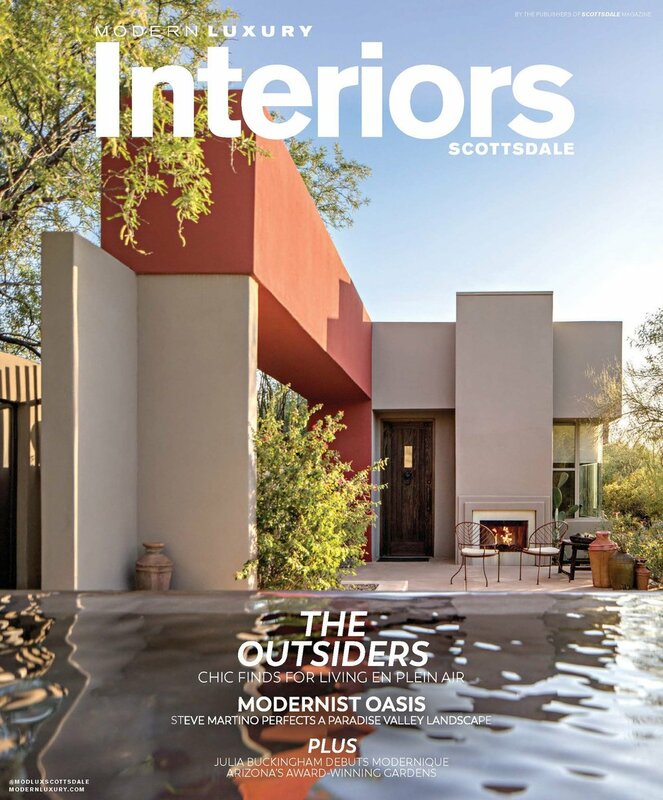 A few nice features of our Candelaria Design homes to announce, first a big thanks goes out to editor Michael Hiatt and Modern Luxury Scottsdalefor the feature of our Mummy Mountain Contemporary and then another feature in Luxury Interiors Scottsdalefor another contemporary home in Paradise Valley. 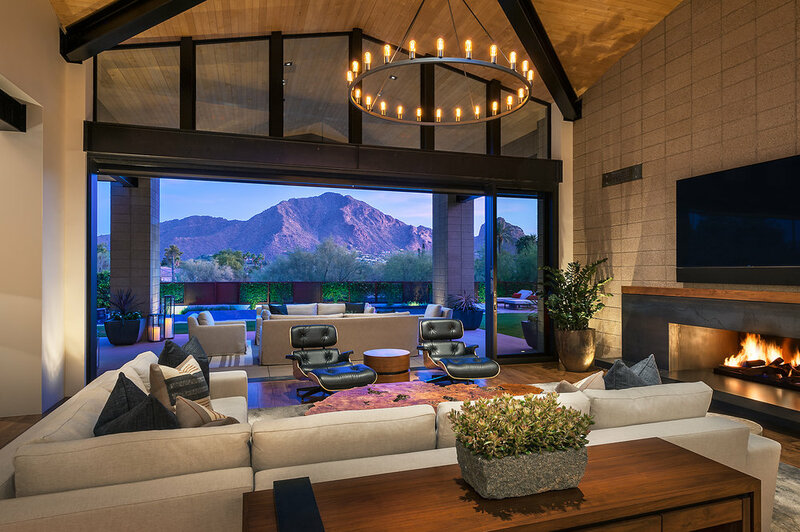 Both homes were masterfully built by Schultz Development http://www.schultzdevelopment.orgwith the mountain contemporary interiors by Holly Ogden of Wiseman Gale https://wisemanandgale.com, and the Paradise Valley contemporary interiors by Claire Ownby http://www.ownbydesign.com. This project also received and ASID award for Claire Ownby and the team in 2017 for the best design for a home over 6500 sf. So YES we do CONTEMPORARY and its nice to see our work now dominating the publications. A special call out to editor and writer, Patricia Hart McMilllan, and her new book Christmas By Design: Private Homes Decorated by Leading Designers. We are proud to have three spectacular homes featured in this first edition now available on Amazon.com. More to come on this! Finally, last weekend our Candelaria Design Team headed by Project Manager and Team Director, Damon Wake and the team from Earth and Images of Nikka Bochniak, Kim Schroeder, and Angelina Ponce, attended the Gigi’s Playhouse, University and Café Gala hosted by actor from Extra and Saved by the Bell, Mario Lopez. We are proud to have had our two teams design all three facilities and we auctioned off one of our paella dinners for the evening. Definitely a successful night and kudos to our client and founder, Jennifer Gage! Ok back to the boards, I have plenty to get done before Isabel and I head to NYC tomorrow. Keep on the lookout for more quick episodes of what’s happening behind the scenes of Candelaria Design with our SKETCH Daily episodes. Tune in and subscribe on our Candelaria Design YouTube Channel for updated episodes https://www.youtube.com/channel/UCbgBYVic9aP2PWdKS8duS6A?view_as=subscriber. You never know when one of your projects will be featured as we cover a lot of ground every day and every week!